All anglers, professional or amateur can identify with a fisherman’s most frustrating feeling – a long day out in the hot sun, casting your line everywhere but not getting so much as a peep from any fish. This usually happens when we cast blindly, with no idea where the fish are or more importantly, how deep they are! Fish finders come in handy for this very reason. Not only will a fish finder help you locate where a fish most likely is, but also how deep it is. You can even see your line going down on the screen, so you know exactly when to stop. 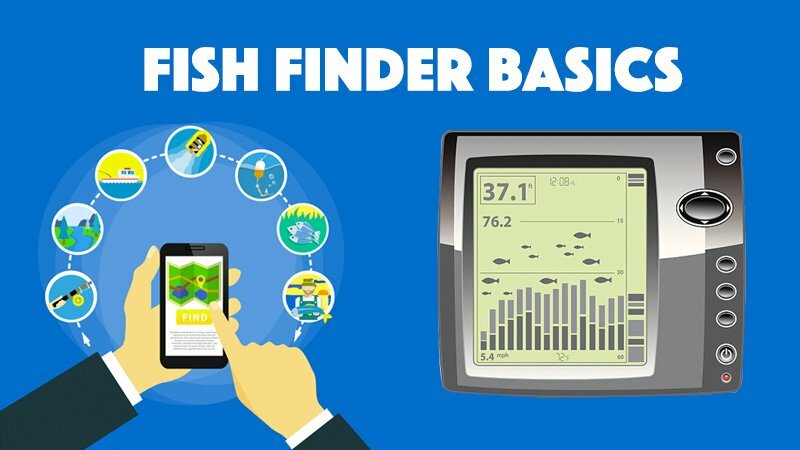 Although most manufacturers try, fish finders won’t show you exactly how many fish there are and where. But what they can show you is what the underwater world looks like, what kind of structure and cover there is, and if there are any schools of baitfish swimming around. Fish finders are read from right to left, so the reading on the right of the screen is what is immediately below your boat. 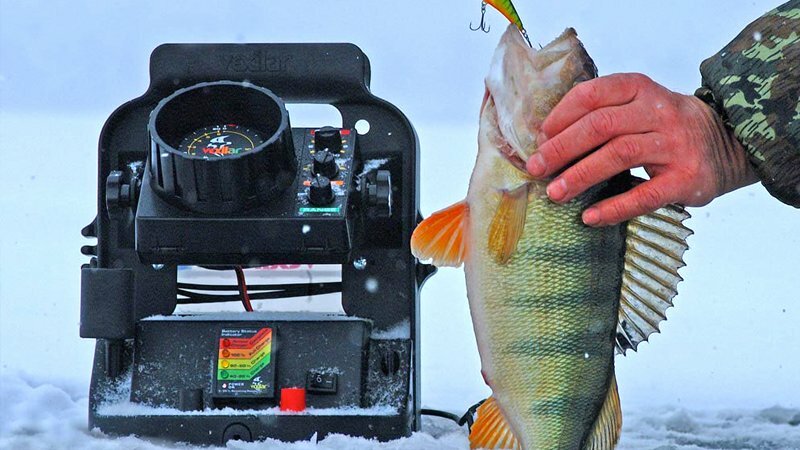 Since fish finders come in so many varieties, let’s look at each one for what it is capable of. 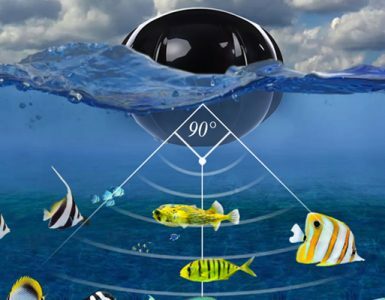 Long time anglers swear by traditional SONAR. Traditional sonar is what most fish finders have: this shows echo returns as multi-colored blobs and arches on your screen. These kinds of fish finders also show the classic “fish arches” that everyone talks about so much. So how is a fish arch created? You can think of the transducer beam as an upside-down waffle cone, with the pointy end starting at your boat and getting bigger and bigger the deeper it goes. An arch is created when a fish comes into the cone from one side and goes out of the other. The left side of the arch is weak because the fish has just entered it, the center is the strongest because the fish is getting the full power of the beam, and the right is again weak because the fish is exiting the arch. In theory, an arch would also show up for any object that just happens to float through your transducer cone. If the fish is stationary (or your boat is trolling at the same speed as the fish), you may not see an arc, but rather, you will see a straight line of sorts. There is no one thing that you will always see, so the best way to judge with your fishing locales and your fish finder is to practice, practice, practice! Along with the obvious fish being spotted, traditional SONAR can also be used for spotting bottom, structure, and watching your fishing line go down. Down Imaging (or DownScan, if you prefer Lowrance) units use a very high-frequency beam that shows incredibly realistic images, but at shallower depths than what a traditional SONAR could do. What would show up as blobs and arches on traditional units would show up as the real thing on your Down Imaging screen? So rocks, pylons, trees, and sunken objects would actually look like rocks, pylons, trees, and boats, trucks, cars, and whatever other sunken objects there are. DownScan units are also good for spotting schools of baitfish – but they are not the best for spotting gamefish. If your style is fishing structure and bottom, then a Down Imaging unit is a game-changer. This is a screenshot from a Humminbird Down Imaging model. Note how the tree branches are clearly visible, and how they cast a “shadow.” There is also a tiny school of fish just above the tree. Things get really interesting when you have a unit that has both Down Imaging AND traditional SONAR, like the Lowrance Elite 7 HDI, or the Humminbird 597ci HD DI. In these guys, you can view Down Imaging and regular SONAR in split screen, seeing both versions at once. Here, you can clearly see the large echo blobs shown by normal SONAR for whatever they are on the Down Imaging, and you can also see clear fish arches or lines on the traditional SONAR. It’s a win-win situation. Plus, with practice, you will learn to interpret your traditional sonar even better. The top half of the screen is traditional SONAR, and the bottom is DownScan SONAR(this is a Lowrance model). Note how the giant clumps of echoes at the top show up much clearly as schools of fish in the bottom. There are even a few gamefish lurking around at the bottom. This is where you can see how traditional SONAR is more effective at spotting fish. The arches are almost always fish, but the little dots you see on the bottom could be mistaken for something else. 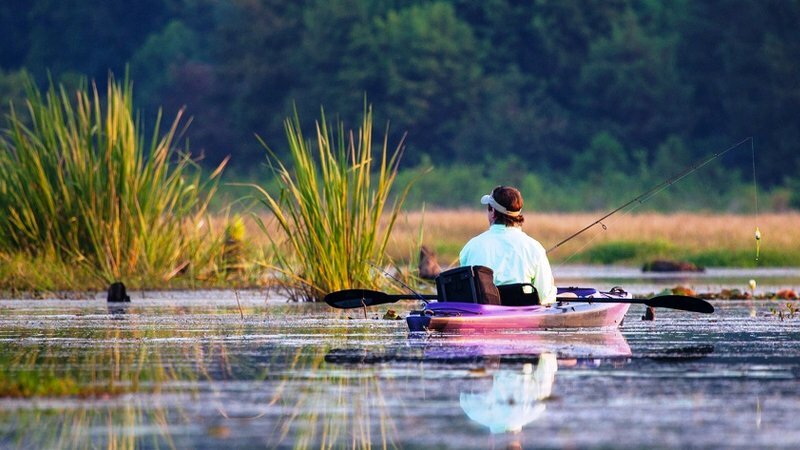 Understand these principles and you’re halfway there to mastering your fish finder!